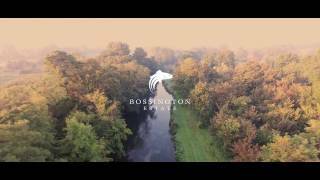 Location: Bossington Estate, an iconic sporting estate is situated on the River Test, the birth-place of dry fly-fishing in Stockbridge, England. About your host at Bossington Estate: Sir Richard Fairey, Owner. Bossington Estate was bought by Sir Richard Fairey in 1937. He bought it as a sporting estate, to indulge his love of fly fishing and shooting. Across the valley Tommy Sopwith owned the neighbouring estate, Compton. The two aviation tycoons, Fairey and Sopwith, were good friends, and when they wanted to relax, they raced their J-class yachts in the Solent. Before he made his fortune, Charles Richard Fairey, as he was then, started out by designing model aeroplanes. On, 4th June 1910, he entered a model flying competition organised by Hamleys, and won the 1st prize of £200, when he was just 23 years old. This helped him to start the Fairey Aviation Company 5 years later. ­­­­­­Fishing experience at Bossington Estate: Bossington Estate’s reputation as one of the world’s finest chalk stream fisheries rests not only on its fin-perfect, portly and perspicacious trout, but also the enchanting succession of depths and shallows, racing riffles and serpentine stretches. Combined, the fish and setting offer a wide variety to both the seasoned and novice angler in search of fly-fishing nirvana. Bossington Estate’s fishery comprises six beats on the River Test; ‘The House Beat’, ‘The Home Beat’, ‘The Home Stream’, ‘Old Stews Beat’, ‘Old Station Beat’ and ‘Rushams’. The Estate also owns two miles of the ‘Wallop Brook’, and the aquifer-fed ‘Horsebridge Lake’. We organise our fishing so that this greatest of sporting pastimes can be accessible to everyone. Click here for quick link country guide. To select and book the top suggested hotels and accommodation in the area when fishing at Bossington Estate, click here. by car or public transport to Bossington Estate.